Al-Ameen Organic and Raw Honey range are fully certified and our beekeepers keep detailed records ensuring full traceability. Our honey comes from individual beekeepers and is never a blend of honeys. 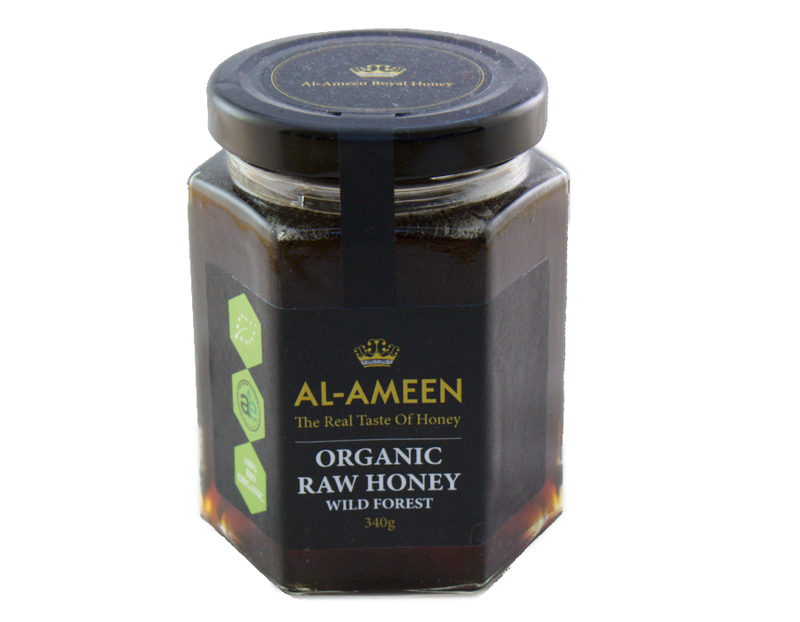 Not all organic honey is raw - AL-Ameen Organic Honey range is Organic and Raw. Most nourishing for the organs when mixed with a glass of water at room temperature first thing in the morning. 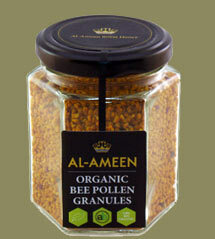 Organic Bee Pollen, Natures health supplement. Delicious with smoothies, yogurt and honey, Pollen has been taken as a natural food supplement for thousands of years. Packed with B vitamins and rich in anti-oxidants. Bee pollen contains a variety of vitamins minerals, enzymes and essential amino acids including Iron, Magnesium, Zinc, Protein and Fibre. 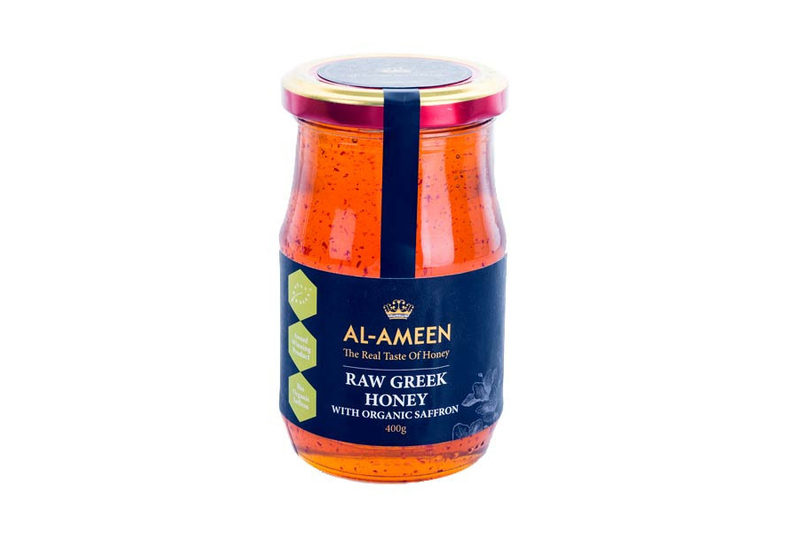 Our Award winning Raw Greek Honey infused with Organic Saffron. An amazing combination and pure luxury. Our Organic Saffron from Kozani is the best in the world as it comes from a protected origin. Saffron is renowned for its health benefits. This is truly an outstanding product that must be tasted to be believed. A pure health tonic. Especially when mixed in a glass of milk. 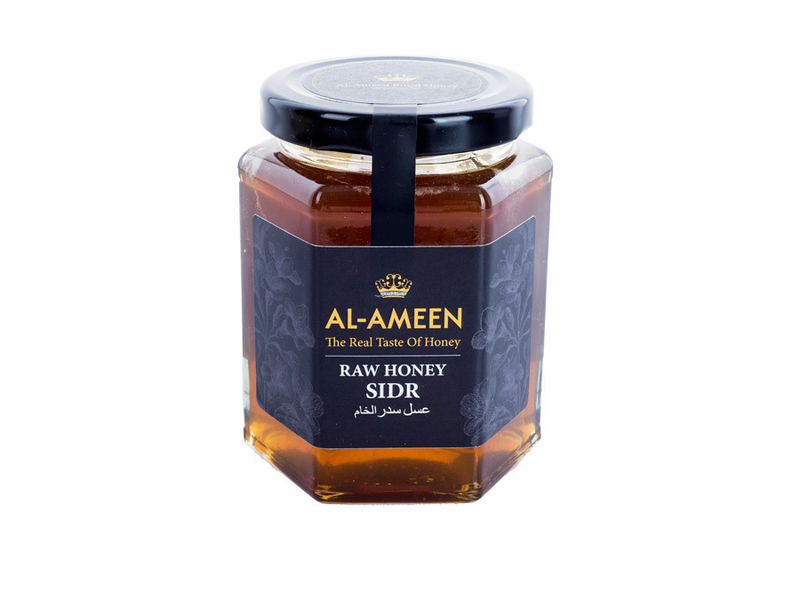 Exclusive to Al-Ameen - this rare and highly sought after honey is prized in the Middle East for its healing and medicinal benefits. 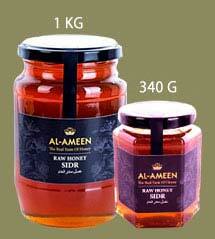 This honey falls into one of Al-Ameens Prestigious Honey categories. Our beehives are placed in the heaven-kissed locations of the world - Kashmir. It is truly one of the most spectacular parts of the world. 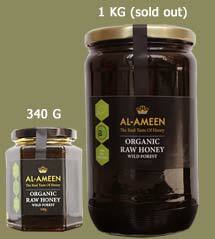 Produced solely for Al-Ameen Royal Honey - by the buzzing bees and our dedicated second generation family of beekeepers. Raw, unaltered and in its purist form. Manuka Honey is one of the most famous honeys in the world. It is a beautiful, delicious tasting honey with high antioxidant properties and well known for its remarkable anti-bacterial healing powers. Enjoy two of our best selling honeys. Or send it as a gift to a special person in your life. Please call for Individual orders, Wholesale orders and re-branding enquiries.